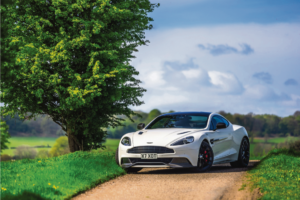 Home › Competitions › Win a VIP supercar driving experience worth £1000 with AutoXotica! Win a VIP supercar driving experience worth £1000 with AutoXotica! AutoXotica is the UK’s premier supercar-lifestyle club based at MSV’s Donington Park circuit. Offering club memberships, driving experiences and supercar hire, AutoXotica provides motoring enthusiasts with access to today’s top marques, including Aston Martin, Lamborghini, Ferrari, Porsche and more. Members enjoy a range of additional benefits such as use of Donington’s trackside hospitality suite, private tuition from racing pros, and privileged access to a variety of lifestyle and leisure assets. The driving experience will allow you to drive three supercars on the open road and get a closer look at the supercar club. The driving experience includes tuition by a professional driver, who’ll show you how to push the supercars to their limits. AutoXotica are offering one lucky person the opportunity to win a VIP supercar driving experience worth £1000! All you have to do to be in with a chance to win this amazing prize is enter your details below!